Thank you very much for your continued support. 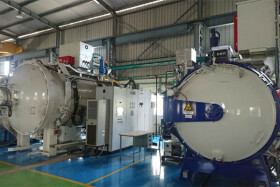 In our endeavour to provide complete solution to the tooling industry apart from the special steels we supply, It is now 3 years since we started our heat treatment facility under technical support of our principals in japan. It gives us great pleasure and pride to let you know that in the last 3 year we have invested over 10Cr into this facility and have made it the technically most proficient and the largest of its kind in South India. 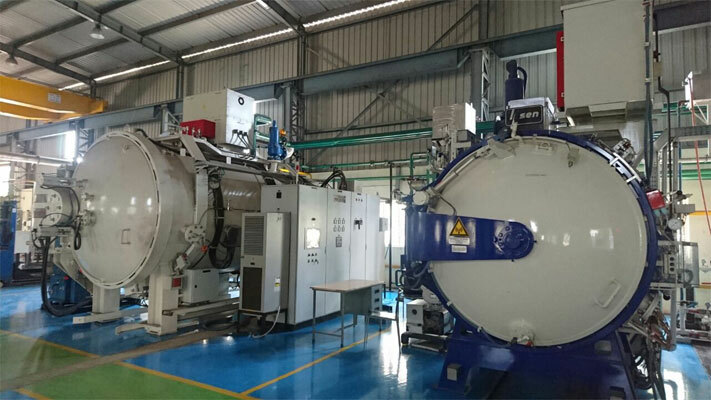 IT is with lot of happiness that we announce the commissioning of our new vaccum furnace of the size 910*910*1200m in our unit, which can take a maximum die weight of 1500kgs single price. It has been manufactured in a way such that we get the best heat treatment properties in the dies which will be treated here. It is equipped with the most modern technology and is a round hot zone furnace. You are also aware that we had commisioned our gas Nitriding unit in April 2014. Gas nitriding is best suited for tool steels and is a more beneficial process over liquid or Plasma nitriding. Our machine shop has also been strengthened with addition on 2 new VMC which are currently under commissioning which can handle a maximum job load of 2 tons. We thank you again and look forward to be of more use in the future. We will be happy to share details with you and look forward to hear from you (www.goelsteel.com).